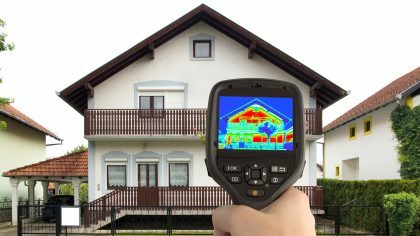 As the United States seeks to stabilize energy prices and enhance energy security, energy efficiency and conservation remain one of the most effective tools to help meet consumers’ expanding energy needs while maintaining reasonable prices. Consumers, such as working-class families and small businesses, not only form the backbone of the U.S. economy, they are also the most sensitive to changes in energy prices. Energy efficiency and conservation produce significant cost savings for consumers and make American businesses more competitive globally, highlighting another important meaning of “sustainability”. 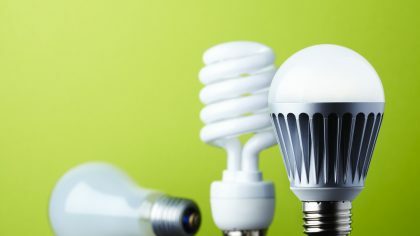 Although the Energy Information Administration (EIA) projects that overall energy consumption will increase by 0.4 percent per year from 2012 to 2040, energy use per capita will decrease due to advancements in energy efficiency technologies, efficiency practices by the electric power sector, expanded use of fuel-efficient vehicles, and additional changes in consuming behavior.1U.S. Department of Energy, Energy Information Administration, “Annual Energy Outlook 2014,” http://www.eia.gov/forecasts/aeo/MT_energydemand.cfm#declines. Consumer behavior also contributes to cost savings for American families and small businesses. Changing the way one drives, for example, can lower gas mileage by 15 to 30 percent (highway speeds) and 10 to 40 percent (stop-and-go traffic). Residential and commercial consumers alike can conserve energy and lower energy bills simply by turning off lights when leaving a room. Choosing to install energy efficient technology and programmed lighting control, thermostats, and occupancy sensors that turn off lights when spaces are unoccupied are also common means to conserving energy and lowering costs for American families and businesses. Download the CEA one-pager on Energy Efficiency and Conservation. 1. ↑ U.S. Department of Energy, Energy Information Administration, “Annual Energy Outlook 2014,” http://www.eia.gov/forecasts/aeo/MT_energydemand.cfm#declines.